PiCAS is an independent and professional bird control consultancy service and not a pest control company. The essential difference between PiCAS and a pest control company is that PiCAS does not sell any bird control products or installation services; neither does it have any links or ties to companies that sell bird control products or installation services. This ensures that all advice and services provided by PiCAS are free from any commercial bias or vested interest. The only services provided by PiCAS are professional and independent consultancy services. PiCAS offers a range of unique and highly regarded consultancy services to its client base in the UK, guiding each client through the difficult and often demanding process of protecting a property or site from bird-related problems. Each and every PiCAS consultant is an acknowledged expert in the field of bird control with the necessary experience and expertise to offer the client a clear and transparent assessment of the problem together with a sustainable and cost-effective solution; the same cannot be said of pest control companies. Few, if any pest control contractors have the necessary experience or understanding of birds and bird control to provide the client with anything other than a very basic installation or culling service, which in most cases is far from being in the best interests of the client. In order to resolve any bird-related problem, first there has to be an understanding of the species concerned. In most cases commercial pest controllers simply do not have the necessary understanding of the target species and how that species will react and respond to the controls provided and therefore they are unable to offer the client a solution that will permanently resolve their problem. At best, the service provided by most contractors will be a quick-fix (normally culling) and the client will then be back to where they started within a matter of weeks. This is because culling has been proven to increase pigeon flock size by between 15% and 30%. Where deterrents are recommended and provided by pest control contractors the standard of installation is normally very poor and the cost of both product and installation service is often prohibitively high. Products sold to the client are normally recommended on the basis of profitability for the contractor rather than for their ability to resolve the client’s problem. In most cases commercial pest controllers put profit before the provision of a good and lasting service to the client. PiCAS’s mission statement is to provide the client with the most sustainable, effective and cost-effective solution available. In the main, pest control contractors will recommend a combination of culling and the installation of deterrents to the client. This is because both of these services are highly profitable. PiCAS is often asked why pest control contractors that have recommended the installation of deterrents have also recommended culling prior to installing deterrents. The usual response from the pest control contractor is to suggest that culling reduces the impact on the property following the installation of deterrents. Clearly this does not make sense – if the correct deterrent is chosen, and if the deterrent is installed as per manufacturer’s instructions (and in the right areas), why should the client continue to experience bird-related problems following installation? Normally because the contractor does not have the necessary experience, expertise or understanding of the problem to predict how the target species will react and respond to the various controls provided. The reality is that the culling operation is completely unnecessary and sold to the client simply as an additional and worthless service. The pest control industry will normally agree with experts and scientists that culling is completely ineffective as a bird control and far from being a sustainable solution to bird-related problems. However, most pest control contractors continue to sell this service to clients simply because culling is a revenue-rich service. Scientific research* has proven, conclusively that culling, when used as an avian control (particularly in respect of pigeons, wood pigeons and gulls) will act to increase bird numbers in a given area rather than reduce numbers. This is because the size of any bird population is dictated, almost exclusively, by the extent of available food – if birds from a feeding flock are physically removed by whatever means a void is created into which other birds will breed. In the case of pigeon control, scientific research and research carried out by the PiCAS Group has proven that pigeon populations will breed back to the pre-cull figure within a matter of weeks following a cull. However, the client to which a culling service has been sold will never be provided with this information - it is simply not in the best commercial interests of the pest control contractor to do so. Many pest control companies are now using hawks to control bird populations, selling this method of lethal control as ‘green’ and ‘natural’; nothing could be further from the truth. Not only is this method of control completely ineffective as a control option but it is also extremely expensive. Falconry is a blood sport, not a pest control service and should not under any circumstances be used as a method of wild bird control. For further information on the use of a hawk for the purposes of bird control please see the deterrents and anti-roosting products page of this website. In a vast majority of cases property owners can be empowered to resolve their own bird-related problems acting directly on advice provided by PiCAS’s team of experts and without the need to instruct a pest control contractor. PiCAS consultants will provide the client with an understanding of why the problem exists and offer the most humane, sustainable and cost-effective solution to that problem. Choosing from a wide variety of dedicated controls, including deterrents and anti-roosting products, the consultant will provide the client with the necessary specification and product sources to install the control system in-house, or to instruct a building contractor to carry out the works on the client’s behalf. A building contractor will not only charge significantly less to install bird control products than a pest control contractor, but workmanship will normally be of a much higher standard. Under the guidance of a PiCAS consultant, any in-house maintenance team or building contractor will be able to install and maintain bird control products at a fraction of the cost relative to the same service provided by a pest control contractor. The essential difference between the services provided by PiCAS UK and those provided by the pest control industry is that PiCAS acts solely in the best interests of the client; the pest control industry acts exclusively in its own best interests. Anybody experiencing a bird-related problem should always seek independent advice from a company such as PiCAS that has no vested interest in selling products, culling services or installation services. Pest control services and products are extremely expensive, commonly miss-sold and are rarely offered with guarantees of any description. A recent example of how lethal pest control services fail to resolve the problem being experienced by the client, and can sometimes bring the client into disrepute, is the case of trapped pigeons at the Royal Navy Submarine Museum (RNSM) in Gosport, Hampshire in March 2008. In 2007 the RNSM brought in a pest control contactor to advise on the control of pigeons that had accessed the hull of HMS Alliance, a submarine exhibit for the purposes of roosting and breeding. The contractor advised that a cull would be appropriate and undertook a pigeon shoot in 2007. The shooting operation was unsuccessful with pigeon numbers soaring again following the cull. Rentokil were then brought in to advise the client. Rentokil covered the hull of the submarine with nylon bird netting, a very expensive control option, entrapping live pigeons within it and placing baited cage-traps inside the hull of the craft. The intent was to encourage the trapped pigeons into the cage-traps and then dispose of them (the press statement suggested that the pigeons were to be released – this never happens in conventional pest control operations, trapped pigeons are always killed). The result was that distressed pigeons were seen throwing themselves at the nylon netting in an effort to escape the hull of the submarine. 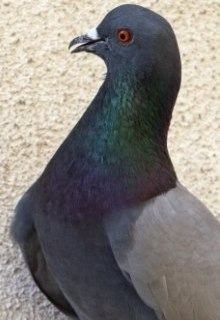 The PiCAS office, in Gosport, received numerous calls from deeply distressed members of the public that had witnessed the trapped pigeons desperately trying to escape. The result was that the RSPCA were brought in to investigate allegations of cruelty on the part of the RNSM as a result of causing what is legally known as unnecessary suffering to the trapped birds (further information on bird control and the law can be found in the PiCAS document The Law. The BBC covered the story with a report on the BBC website along with photographs of the netted hull of the submarine. BBC TV also covered the story on BBC South Today and the story was covered by The Portsmouth Evening News and also appeared on their website. In short the RNSM received appalling press over the issue but their pest control contractor, Rentokil, was not even mentioned by the media. One cannot feel too much sympathy for the RNSM, however, as they had approached PiCAS prior to instructing Rentokil and were told that lethal control would be ineffective. The RNSM was also provided with a humane solution by PiCAS, free of charge due to their status, following lengthy discussions about the problem on the telephone. Instead the RNSM instructed a pest control contractor at considerable expense to the museum and with disastrous results. The RNSM is part-funded by donations and admission to the museum by the general public and therefore negative publicity of this type will inevitably have a serious effect on the public’s perception of the museum and almost certainly on visitor statistics and donations.